So my boyfriend asked me to do a very quick birthday card for a coworker he was friends with who was having his birthday the next day. I quickly whipped this up, so this will be a very short blog post too. As always, I drafted out a layout in Photoshop. 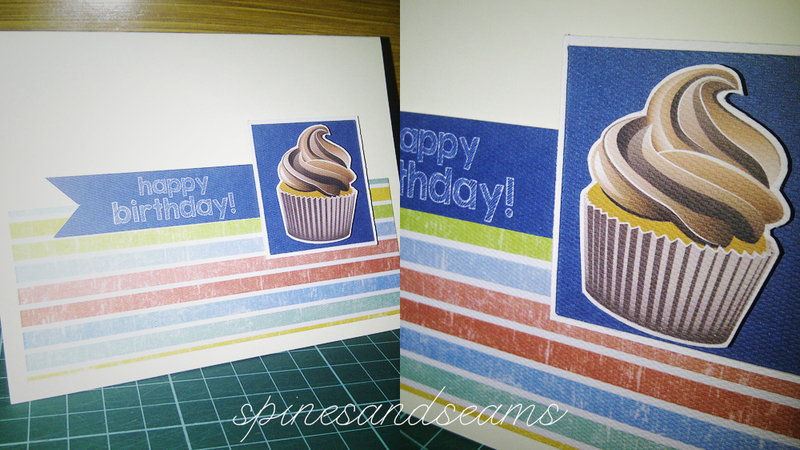 A stripy colorful background, a blue banner with “happy birthday” on it, a cupcake image, a blue background for that cupcake, and a white square for a white border for that blue background. 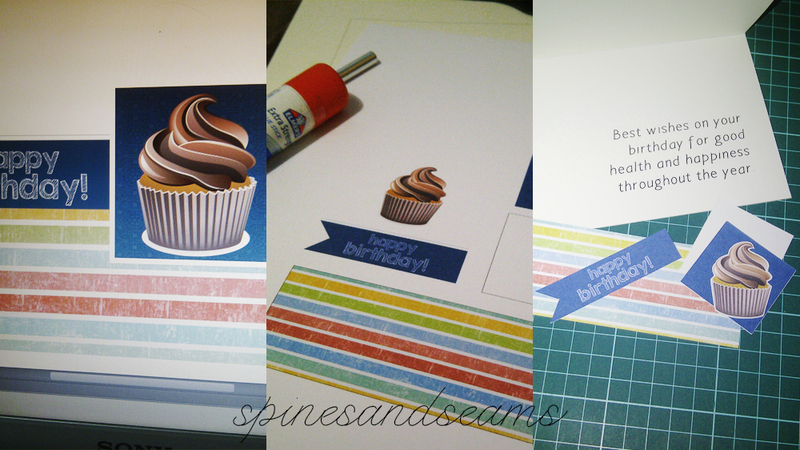 Printed those out on textured white card stock, and cut out the individual pieces. Arranged the whole thing on a cream-colored cardstock and we’re done!